In a new survey conducted by the Pew Research Center, over half of Americans (52%) say it doesn’t matter whether companies and organizations say, “Merry Christmas” or “Happy Holidays.” That’s up from 45% in 2005. Those who say they prefer “Merry Christmas” fell from 43% in 2005 to only 32% this year. Why even talk about this? Does it really matter? 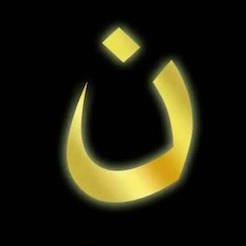 Shouldn’t Christians be tolerant and accepting of all faiths…or no faith? 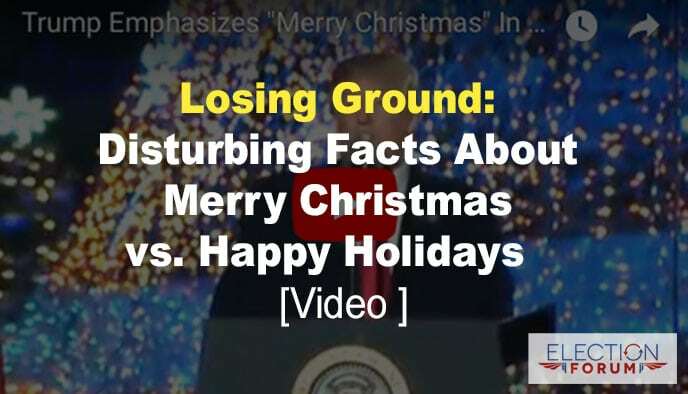 After all, two-thirds of evangelicals (67%) say the non-religious “Happy Holidays” greeting is fine, while only 20% say it’s inappropriate. There’s a culture war raging between two opposing world views: one acknowledges the existence of a personal God and creator of all that exists; the other rejects God and believes the universe appeared spontaneously and mankind evolved through random, uncaused “natural” processes. The controversy over Merry Christmas versus Happy Holidays is one of the by-products of this culture war. Secularists HATE the greeting “Merry Christmas” because it mentions the name of Christ. They used to replace Christ with “X” in their advertisements or cards and write, “Merry Xmas.” But even that isn’t tolerated anymore. There’s been a huge effort in recent years to remove all mention of Jesus Christ from government and public life. Government uses the “separation of church and state” as the excuse. But the separation of church and state refers to the government of the church and the government of the state. It has nothing to do with voluntary religious belief or the practical application of religious belief. Christmas is a religious holiday… specifically, a Christian holiday. Without Christ, there would be no Christmas. As Christians, we should have the same attitude. Listen to President Trump’s 5-and-a-half-minute speech during the national Christmas tree lighting ceremony in Washington, DC. Particularly, listen to what he says beginning at the 2:10 mark. Praise the God of Abraham, Isaac, and Israel! Absolutely awesome! What a wonderful President! I watched with tears in my eyes, so thankful for his words of beauty and hope. He was spot on on the meaning of Christmas! I’m so thankful for him and for Melania and their godly leadership. I pray for him every day! Thanks for sharing the research. God bless President Trump for not being ashamed to declare the Reason for the season….honoring the birth of Jesus. “Christmas is a religious holiday… specifically, a Christian holiday. Without Christ, there would be no Christmas.” Obviously. It’s an analytic truth, which means it’s relatively meaningless. Without him, we’d likely celebrate the successor of one of the pagan celebrations of the Winter solstice. Some are celebrated now. https://www.livescience.com/42976-when-was-jesus-born.html suggests Christmas is the successor of the Saturnalia. bc, though a devout atheist, likes it when people wish him a merry Christmas. It’s more caring than, “Have a nice day”.